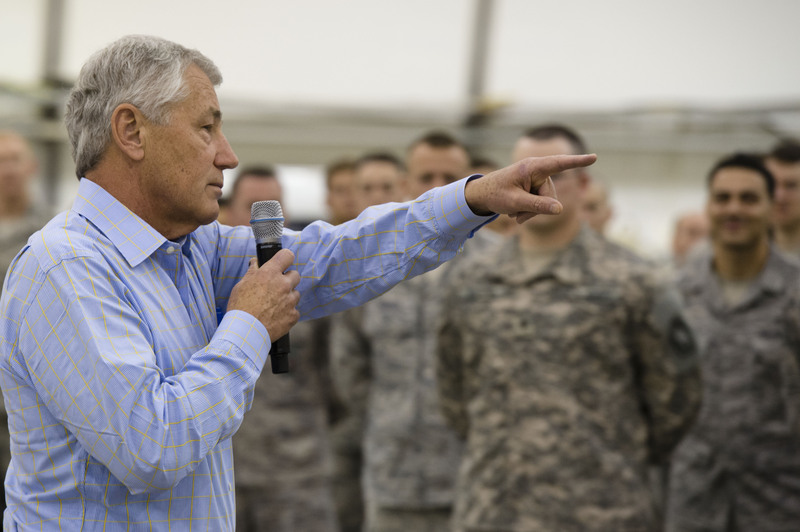 Hagel said climate change can have a significant effect on the security environment, noting that as sea levels rise, so can potential threats. “When there is any natural disaster event that occurs, there always is some element of a security risk — law and order, individuals attempting to take advantage of those catastrophes, adjusting to shifts in security requirements,” he said. The major theme of this year’s conference, Kirby said, is environmental security. “He will describe DoD’s efforts to assess and respond to the risks that climate change poses to our military’s installations, operations and training,” the admiral said. For more on tomorrow’s CDMA meeting, see the CDMA homepage. There you will also find some background reading, which includes a report on Environmental and Energy Issues for the U.S. military in Latin America co-authored by our Senior Research Fellow, Lieutenant Commander Oliver-Leighton Barrett, United States Navy (ret). By Caitlin Werrell and Francesco Femia in climate and security, climate change, national security on October 12, 2014 . Viewed from the trenches of the Pacific Northwest. Port Townsend, WA. I am a retired boat builder, two kids, both better than average tax payers and contributors to society, and 2 grandkids. I have a vested interested in a livable future for them and a fiduciary responsibility for you and yours as a human benign. Corporations, (“people” now, I call them “Corpro/People”), have yet learned to play nice with others. Justify those $600+ billion $$$ taxpayers give to you each year. Don’t kill for your country, build for humanity! You got grand kids don’t you?